I passed several political yard signs that said: Tickle for Judge. As Kenny said, that sounds illegal. But just thinking about the scenarios gave me a giggle. All rise, the honorable Judge Tickle presiding. Passed an oil change shop whose sign said: It’s that time of year – Pumpkin spice oil change! Right on. I saw a Cracker Barrel billboard that said: Chicken and Yummplins! This made my skin crawl. Could’ve been the nasty gravy in the picture or the word yummplins. Yummplins! I can’t even. It’s been several days and it still bothers me. Never eating there again. Doesn’t the word odor just look like it stinks? Why aren’t there trash cans at the end of runaway truck ramps for the driver to throw out their underwear? Where was this picture taken? I love roads like that. I’m not entirely sure. 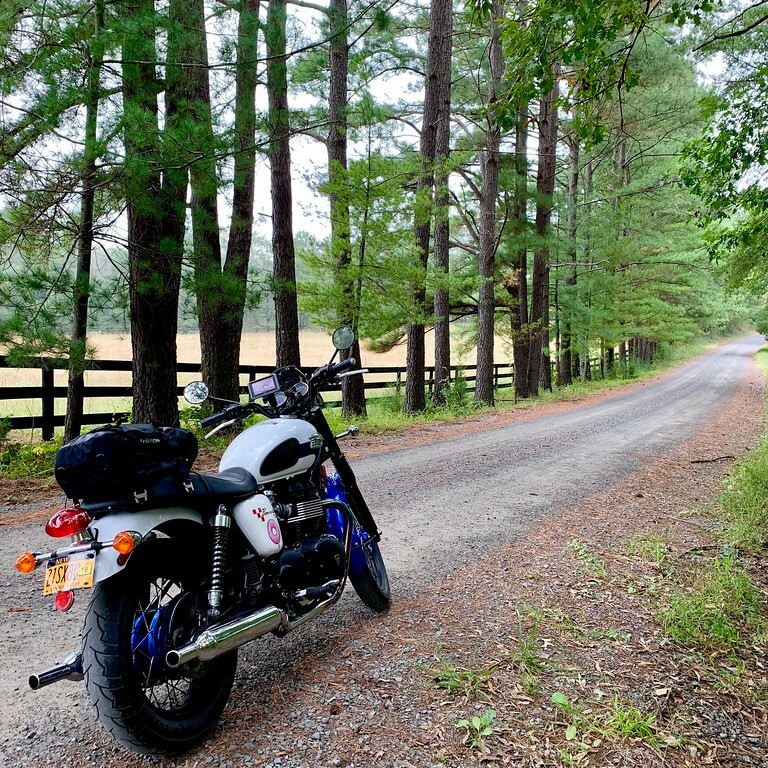 I was a little north of Fredericksburg, Va.
Hmm…. wonder if that is part of the Mid-Atlantic BDR…. Way Cool!! Perfect for Bonnie!